Natural face cream with Indian ginseng (ashwagandha) widely used in Ayurveda. 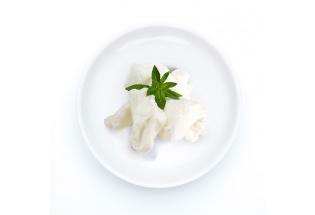 The cream is rich in active ingredients such as phytosterols, alkaloids, coumarin and phenolic acids. They are natural anti aging substances. The cream is based on sunflower oil and shea butter which soften, moisturize and smooth the skin. The cream is rich in chaulmoogra oil - well known in India for incredible skin effect. The chaulmoogra oil contains chaulmoogra acid, palmitic acid, oleic acid - they effectively soothe skin defects. They act anti bacterial. After cleansing, apply the cream on the face, neck and neckline. Apply in the morning and/or in the evening. It is ideally suited as a make-up base. The almond is a species of tree native to the Middle East and South Asia. Information on almonds is as old as days before Christ. Almonds yield almond oil which is rich in many natural nutritional substances such as proteins, mineral salts vitamins A, E, D and B. Almond oil has been proven to have a calming effect on skin allergies and inflammation. It has both the ability to soothe as well as treat skin allergies. 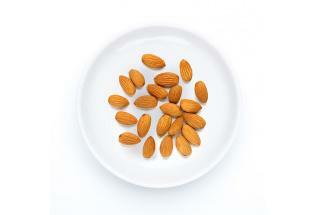 Almonds have a way of trapping moisture in the skin keeping it moisturized at all times. 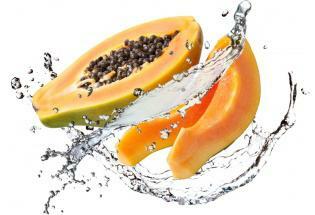 Scientists have discovered cosmetic benefits of papaya recently. 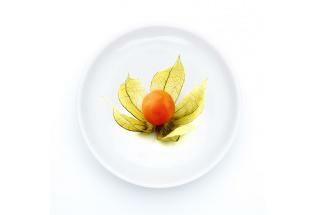 However, the facial mask made of raw papaya has been known in Asia for a long time. Along with the Papain enzymes, which helps in reducing pimples and blemishes as well as whitens the skin, it is good source of antioxidants and nutrients such as Vitamin C, Vitamin B, carotenes, and flavonoids, fiber and minerals like magnesium and potassium. Sandalwoods are medium-sized trees found mainly in Pakistan, India, Nepal, Bangladesh, Sri Lanka and Indonesia. Sandalwood oil is extracted from the woods. It is used in perfumes, cosmetics, and sacred unguents. It soothes skin, best for dry and dehydrated skin. It is also aphrodisiac. Aqua, Helianthus Annuus (Sunflower) Seed Oil, Caprylic/Capric triglyceride, Glyceryl Stearate, Plant Glycerin, Butyrospermum Parki Butter, Stearic Acid, Withania Somnifera (Ashwagandha) Root Extract, Prunus Amygdalus (Almond) Dulcis Oil, Carica Papaya Fruit Extract Isopropyl Myristate, Glyceryl Caprylate, Cetyl Alcohol, Citrus Grandis (Grapefruit) Seed Oil, Sesamum Indicum Seed Oil, Hydnocarpus Laurifolia (Chaulmoogra) Oil, Crocus Sativus (Saffron) Flower Extract, Persea Gratissima (Avocado) Oil, Santalum Album (Sandalwood) Oil, Daucus Carota Sativa (Carrot) Seed Oil, Triticum Vulgare Germ Oil, Citric Acid, Sodium Benzoate (from berries), Potassium Sorbate (from berries). Sunflower oil - rich in phospholipids, carotene and vitamin E. Softens, smoothes and firms the skin. It has an anti-radical and anti-inflammatory effect. Wheat germ oil - rich in essential fatty acids, vitamins, minerals, lecithin, enzymes, phytosterols, carotenoids. Perfect for damaged and tired skin. Shea butter - rich in fatty acids and vitamins A, E and F - regenerates and renews damaged skin. Smoothes and softens the skin while protecting it from harmful factors - like UV. It stimulates the activity of cells for rejuvenation. It soothes irritations, accelerates healing processes, reduces allergic reactions. Root Extract welcomed drowsy (ashwagandha) - rejuvenating, nourishing and regenerating. Almond oil - contains many natural nutrients such as proteins, minerals and vitamins A, E, D and B group by which affects the firmness and elasticity of the skin and delay the aging process. It also contains linoleic and oleic acids, which soften the skin and strengthen the lipid barrier of the skin. The extract of papaya - protects the skin from producing melanin, whitens discoloration, smoothes the skin and gives it a healthy color. Papaya is rich in many nutrients, proteins, minerals and vitamins. Grapefruit seed oil - promotes the growth and regeneration of the epidermis, strengthens, nourishes and tightens the skin, cleanses and tightens pores, the department antiseptic, refreshes, refreshes and tones the skin, reduces the formation of wrinkles. Sesame oil - a strong antioxidant. Eliminates free radicals which destroy collagen and elastin in connective tissue of the dermis. Saffron extract - one of the most potent antioxidants for thousands of years known in Asia as an anti-aging substance. Avocado oil - Deeply penetrating and moisturizing with high antioxidant properties. It contains A, D, E, B vitamins, lecithin. 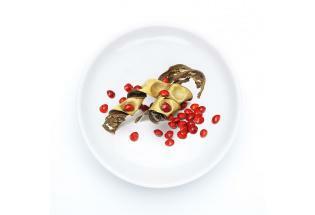 It contains also a large amount of natural phytosterols. It stimulates collagen metabolism, promotes regeneration of tissue, accelerates healing and reduces inflammation.